Heat up the tea bowl by pouring warm water into it. Dump the water out and place the matcha in the tea bowl. Pour hot, not boiling, water over the matcha. 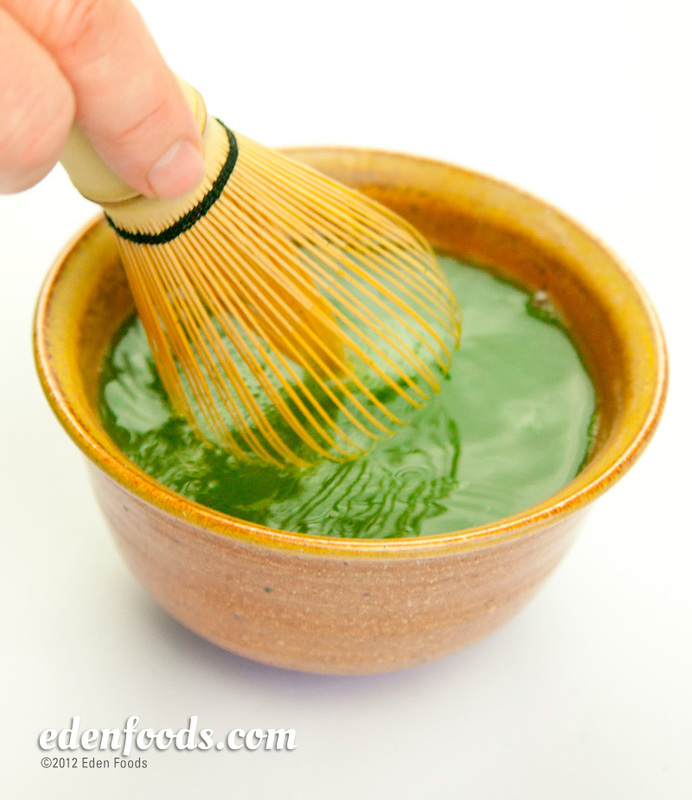 Whisk the water and matcha using a brisk back and forth motion with the bamboo whisk, for several seconds until the tea just begins to froth. Slowly sip and enjoy.